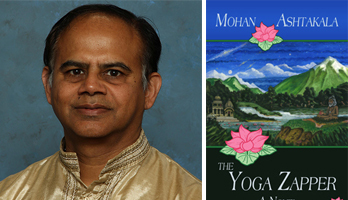 Atlanta, GA: Calgary (Canada) based writer Mohan Ashtakala is the author of the recently released The Yoga Zapper, a fantasy novel written in the new sub-genre of yoga fiction. An initiated Hindu Vaishnava priest and a former newspaper editor, Ashtakala’s goal is to expose the authentic narratives of the yoga tradition through the medium of modern novels. 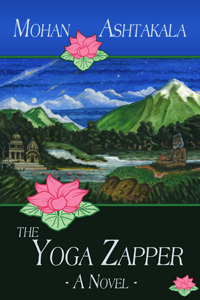 The Yoga Zapper uses themes found in the authentic narratives and prophecies of the Indian subcontinent: yogis meditating for thousands of years, Avatars descending from spiritual realms, magical flying crafts known as vimanas, and at the end of time (which is also time’s beginning,) a world-consuming battle between good and evil. At the center of this fantasy are two modern American protagonists, Steve and Jack. In an email interview with NRI Pulse, Ashtakala talks about The Yoga Zapper and his efforts at giving a modern treatment to ancient Hindu legends. 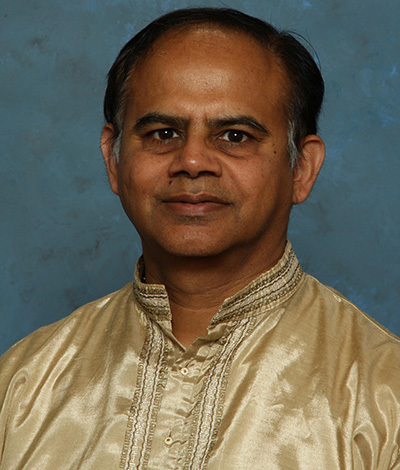 You are a Hindu Vaishnava priest and a former newspaper editor. Is this your first full length novel? When I was fourteen, I created a family newspaper and sent it to all my family members! The Yoga Zapper is my first full length novel, but certainly not my first attempt at writing. Besides reportage, I have written short stories and even a play based on the character of Kunti from the Mahabharata that was performed at a theater festival inDenver. How did the idea of writing a fantasy novel based on Indian mythology and yogic legends take shape? Mostly from my studies of the ancient Hindu traditions. Yet, I wanted to do something different; instead of just repeating these stories, my idea was to give them a modern treatment, in the way ‘Lord of the Rings’ does for Old English mythology or ‘Thor’ accomplishes for Norse legend. What were the challenges of simplifying these narratives in a way that would interest a western audience yet remain authentic to the original scriptures and legends? You have said that many of the descriptions and the feel of India come from your memories of your childhood by the mountains in North India. Where did you spend your childhood? Though I am South Indian, my childhood was spent in Dehra Dun, in what is now Uttarakhand. As a child, I remember visiting Hrishikesh, Mussoorie and Haridwar, where my family did Ganga puja. Did you have a detailed plot outline when you started out? Yes and no. I had the general arc of the story—that is, the beginning, middle and end—but other than that, I found that my characters gradually took over and told their own stories. How much time did you spend researching the subject matter? Apart from the ancient scriptures and yogic legends, did you also read contemporary fantasy fiction? Being an initiated priest, I have spent the past twenty-five years studying the narratives of the tradition. And it is a practice that continues. As far as modern fiction is concerned, I read all genres, as well as literary fiction. The Yoga Zapper is the story of two young American brothers who, thrust into strange worlds, find within themselves the courage and faith to grow, change and discover their unimagined destinies. While trekking in the Himalayas, Steve and Jack encounter a dying priest who thrusts into their hands a Sanskrit scripture which Jack names the Yoga Zapper. Little do the brothers know that the text is a prescription for time-travel. In the midst of a deep conflict with each other, they discover its powers. Steve, who has an intellectual approach to life, is transported to a peaceful village at the beginning of time. He falls in love with the beautiful Shanti and finally connects with his heart. Jack, irresponsible and immature, finds himself in a society ruled by an evil despot. Sucked into the intrigue and treachery of a civilization unraveling at the end of time, he is at last forced to become accountable for his actions. He is imprisoned, but escapes to Shambala. When the dictator attacks Shambala, Kalki, an Avatar of Vishnu, descends, and a horrifying world war erupts, featuring fantastic battles, mystical weapons and ancient flying aircraft called vimanas. The evil ruler who orchestrates the destruction is killed and the earth, abused for so long, blooms anew, the wheel of time turns again, and the brothers reunite. The Yoga Zapper is Little Buddha meets Lord of the Rings with a bit of Gulliver’s Travels thrown in for good measure. It contains strong environmental themes as well as darkly humorous social commentary. A complete full length novel, it is a unique entry in the world of time-travel, as well as an exciting offering in the new sub-genre of yoga fiction. Who are your favorite fantasy fiction authors? Of course, JRR Tolkien of “Lord of the Rings” fame. Another title I really enjoyed is “The Left Hand of Darkness” by Ursula LeGuin. What is the intended audience for ‘The Yoga Zapper’? Besides the mainstream fantasy market and the yoga community, I’ve found that this book appeals to the Indian community, especially the youth. When I was young, I kind of rebelled against my parents wanting to introduce me to Indian mythology. It was so “old-fashioned!” Amar Chitra Kathas was as far as I went. And the reason for that, I believe, is that these fascinating legends needed to be introduced in new forms, such as modern novels, to appeal to today’s audience. And I hope I have accomplished that. Why do you think post-apocalyptic/dystopian novels are so popular in the West? Western literature (and movies) tend to have dark undercurrents. In contrast, mainstream Indian movies mostly have happy endings; whether it’s young lovers finally marrying after overcoming all odds, or family dramas where the sanctity of the family endures all challenges. In contrast, in Western civilization, I believe there is an underlying mood, what is called a ‘guna’ in Hinduism, of a kind of existential despondency – maybe because of having run the course of two devastating world wars and of living in the age of the atom bomb. Or maybe the fascination with post-apocalyptic dystopia is explained by the ‘death of faith’ in the West, and the resultant secular society in which enduring mythology has no place. Do you believe the world is moving towards the end of Kali yuga (a place of anxiety, forgetfulness and violence)? Absolutely. In my life I have seen us moving from what we called “talkies” to the internet, the smart phone, and space travel. The result of this is a stratification of society—between those who are connected to these technologies and those who are not—and the amount of power that the connected have to things such as access to education, knowledge and government services. Other opportunities for further social stratification pop up all the time; for example, in genetics. Gene therapy and individual genetic mapping have the potential to create more haves and have-nots, based on access and ability to pay for these new technologies. We are definitely heading towards a much more deeply stratified society, with all the potential for resentment and violence from the dis-empowerment that comes with it. If you had the choice of time travel, where would you go? What is your next fiction project? I’m working on a literary fiction project tentatively titled “Karma Nation,” whose premise is ‘the exploration of karma of the American nation through the eyes of two young lovers who cross the racial divide from previous lives.’ I’m really excited by its potential!